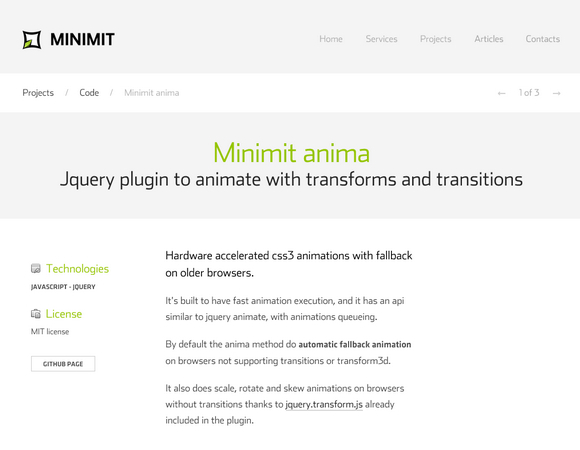 Minimit Anima is a jQuery plugin to animate with transforms and transitions. It’s hardware accelerated css3 animations which is built to have fast animation execution, and it has an api similar to jquery animate, with animations queueing. By default the anima method do automatic fallback animation on browsers not supporting transitions or transform3d. It also does scale, rotate and skew animations on browsers without transitions from jquery.transform.js already included in the plugin.